Just like Mother’s Day and its important significance in any child’s life, homemade Father’s Day gifts are definitely another special item on your little one’s small “to do” list. With little to no allowance money in his pocket, a kid can still come up with some excellent homemade Father’s Day gifts he can personally craft. All he needs is a little imagination, creativity, a few basic skills and, of course, some great tutorials he can read or watch. 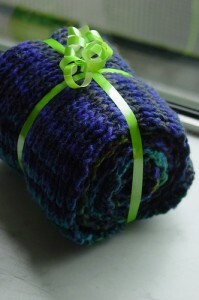 But of course grown adults can still goose around and create some wonderful homemade Father’s Day gifts for their elderly dads, if they really want to show them how important their presence really is. The whole idea behind homemade Father’s Day gifts is for them to remain a secret up until the actual Day. The thrill a dad feels not knowing whether or when you’re going to come out and surprise him with a cool gift you’ve put all your love into is something he’s always looking forward to. Some really clever homemade Father’s Day gifts might require you to buy some decorative scrapbook paper, scissors and some glue. You can use these simple tools to create a wonderful greeting card that’s shaped like a shirt and a tie. There are tons of tutorials on the Internet, just make sure you find the perfect one and follow the easy steps. You can color the tie or the shirt however you like, or maybe choose your dad’s favorite colors. You can give him this gift especially if you know he’s not really a shirt-and-tie person – he’s definitely going to have a blast reading his card! Also, don’t forget to add your final touch to it by writing something from the heart. Of course, a simple “Happy Father’s Day, Dad! I love you!” will always suffice. Besides a card, which can practically take any shape you like, like a car or a motorcycle, if your dad’s really into motors (just Google up a nice picture, have it printed, draw it’s perfect contour and create your cool card in no time), there are other cool homemade Father’s Day gifts you can give him. Touchdown treats are always going to bring a smile on your dad’s face, and they’re really easy to be made. All you need is some large cookies (make sure they’re texture is soft), black licorice, some black gel for decoration, food coloring and some M&M’s Minis. Oh, don’t forget about the frosting. If you’re not exactly sure what to do with all this, start spreading a thin layer of frosting on a cookie, then use another cookie and cut a large square from it and create the illusion of a helmet; set it atop, then cover it with some frosting, add the eyes using the M&M’s and use decorative gel to do it. Use the black string licorice and create a mask and 2 different M&M’s to make the holes of the helmet and you’ve got yourself a genuine helmet! These are just a few popular homemade Father’s Day gifts to inspire you. Please feel free to share your favorite Father’s Day gifts in a comment below. I remember all the gifts I made my dad!